Our Yorkie-Poo, “Snickers” has passed the dumb dog test and I’m begging the question, “will that dog hunt”? As in “hunt” for bedbugs. Training a pedigree is one thing but sinking a couple grand in a “designer dog”, (fancy name for a mongrel mutt), is definitely a risk. I’ve worked with Snickers and he seems to be a fast learner. I like that he’s small enough to get up under beds and such and have decided to send him off to get a doggieedumacation and earn his own keep by being our company bedbug detection dog. 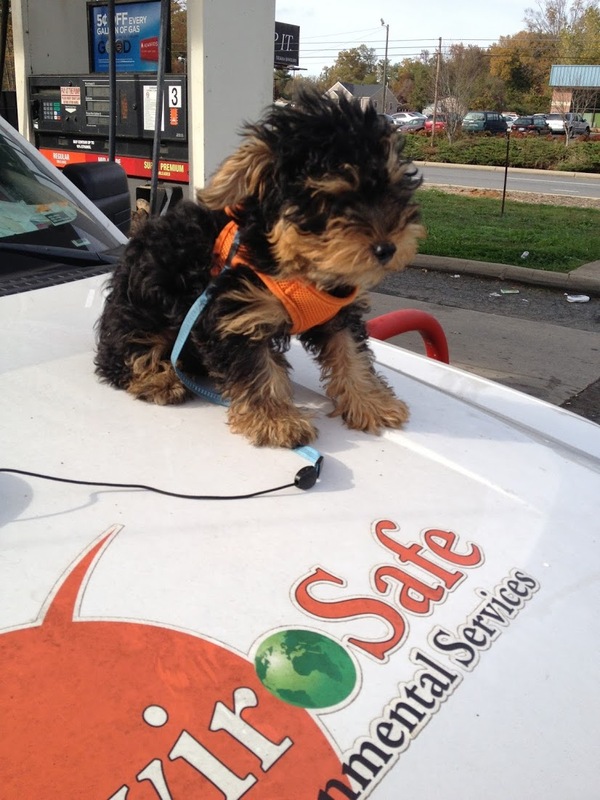 If he fails, he’s still cute enough to be the Envirosafe Mascot. Wish us luck!!!! Video from the show Two and a half men. 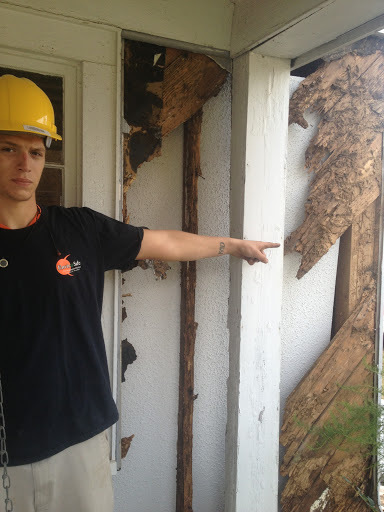 How NOT to do a termite inspection. Sadly, this funny video of a termite letter being forged has happened to us when a Charlotte Real Estate Agent forged one of our (WDIR) Wood Destroying Insect Reports in an attempt to update a six month old report. We thought this video to be hilarious and thought we would share it with the pest control industry and followers of our blog. Charlotte Pest Control adds accuspray to our 3 zone service. HomeSpectors/ Envirosafe termite and pest control will be adding accuspray professional sprayers to our arsenal of pest control weapons. With this new technology, our technicians will be able to provide a more precise indoor treatment when performing our 3 zone pest treatment. Each canister holds 16 ounces and we will be using the very best materials on the market in targeted areas to continue to provide pest control services that are safe for your home, family and pets. We are committed to a green integrated pest management program for Charlotte North Carolina and this new system is just another green pest management tool for us to use. Envirosafe Pest Control in Charlotte NC and Orlando Florida offers state of the art bed bug treatments and eco-friendly pest prevention services. Get Rid of Bugs Like Bed Bugs, Termites, Ants, Roaches, Mosquitoes and Other Pests Today! Pests have long been a threat to the quality of life we all enjoy with their ability to spread bacteria, transmit diseases and cause significant property damage. Biting, stinging and chewing pests like roaches, ants, mosquitoes and mice are much more than a nuisance, and it is important to fully understand the risks associated with any potential pest problem. Envirosafe Pest Control’s comprehensive eco-friendly pest prevention services will protect your family and home through through our preventive pest control and extermination, giving you a safe pest-free environment for you and your family inside and out. Our pest control service gives you peace-of-mind knowing you are protecting your family and your property in the most effective and environmentally responsible manner available today. It truly is an eco-friendly solution that protects your family, home and pets. Spring is breeding season for many pest types. We’ll make sure you don’t have an infestation in development. Summer heat means pest activity is high. We’ll have your home’s perimeter secure. As temperatures drop, pests seek someplace warm. 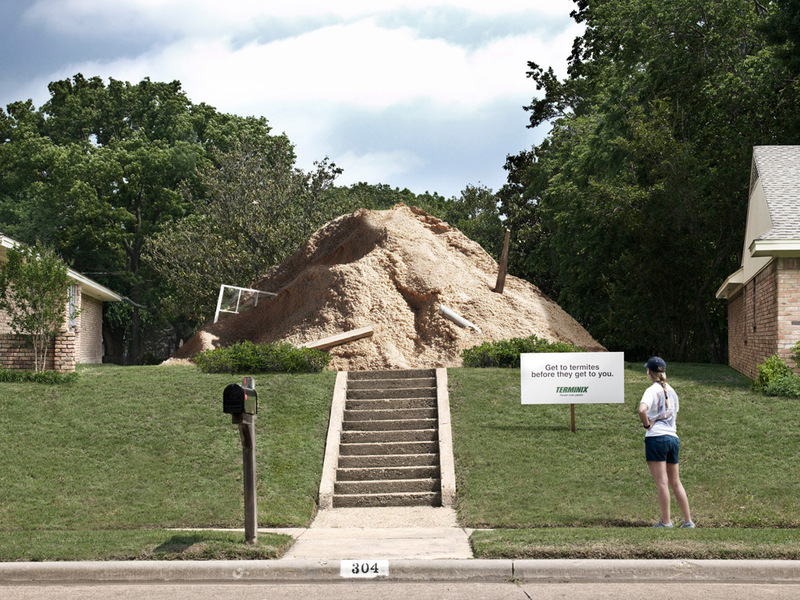 We’ll make sure your home’s barrier is ready. Pests will be looking for all of the warmth and moisture they can find. We’ll make sure your home is protected. Envirosafe Pest Control of Charlotte NC, located at 1800 Camden Rd., Charlotte NC 28203, 704-392-2241. offers eco-friendly safe, effective and total elimination bed bug treatments with state of the art hotfogging and targeted treatments. Other services offered by Envirosafe Pest Control in Charlotte NC include Termite Treatment, Ant Control, Mice and rodent control, and other general pest control services. Areas served include the greater Charlotte, Rock Hill, Fort Mill, Gastonia and other surrounding areas including Huntersville, and Lincolnton, We also have Pest Control offices in Orlando, Kissimmee, St. Cloud, Clermont, Longwood, Winter Park, Winter Garden, Ocoee, and Altamonte Springs Florida.